69 Comments so far. Feel free to join this conversation. My father, an agriculture engineer, died of multiple myeloma; an immune system cancer…found to be directly related to toxins. stop the madness.. stop killing people. My father also died from multiple myeloma…He was an engineer who didn’t work on fields, but then again he worked as a consultant for companies like Dow and DuPont 🙁 I’m guessing he was exposed to chemicals during his numerous visits to the plants there (probably unprotected, it wasn’t his type…) When he got diagnosed, I did ask him about which toxins he might have been exposed to, but he didn’t want any conversation about this. I’ll never know. Well, right now the incidence is 1 in 20. How high do you all expect it to go? I have Celiac Disease and didn’t get rid of my symptoms until I went organic and completely off all grains, so this makes PERFECT sense to me and my personal experience. I also didn’t start having acute Celiac symptoms until the mid 1990’s. Coincidence? I don’t think so! I’m with you. I never got any relief until i got off all grains… but in conjunction with going off grains i later started adding in lots of probiotics and taking digestive enzymes. That has saved me. But after further investigating i did an organic acids test and a comprehensive stool test… i have no lactobacillus and i have an overgrowth of clostridium. With all this knowledge i am slowly getting better. Clostridia will kill you. They are obligate anaerobes but there are a couple that can tolerate some oxygen (difficile). Clostridium perfringens (wlchii) is the main decay bacteria. The bacteria that causes botulism, cl. septicum, cl, hystoliticum, sordelli, and tetanni are others. So, Gluten Free America, if you went organic AND grain free, how can you be certain that the reduction conventionally grown foods is the cure, and not the obvious one – reduction of gluten in your diet? Simple answer here … I have been completely and diligently gluten free for 3 years after my diagnosis of Celiac Disease. Not a “trendoid” … I mean seriously gluten free and I still have issues absorbing nutrients – particularly iron, B-12, among others and still have to get iron infusions for anemia (classic sign of Celiac). I believe it’s from eating other non-gluten containing plants that have been treated with the crap. Look into a genetic mutation called MTHFR. My son is gluten intolerant & also had issues absorbing B vitamins and other nutrients even after being truely gluten free also. It’s kind of a new discovery by the Human Genome Project, and some people who have gluten issues also have this defective gene that makes it hard to utilize the B vitamins they eat, even with vitamin supplementation. Treatment typically involves high doses of a variety of B vitamins. Currently my son is taking two forms of B-12. Many old people have trouble absorbing vitamin B12 due to having insufficient intrinsic-factor-producing cells in their pancreases. The medical answer to this question is “leaky gut” where the integrity of the intestinal lining is compromised and normally contained toxic substances and gut ‘juices’ leak. The villi that normally line a health gut is flat rather than long, lean and swaying around like seaweed doing it’s digestive job. As switched on readers here mention, organic foods (don’t increase the toxin burden leaking into the blood stream) and inclusion of probiotics (superior quality such as ‘entralive maximal’ from Entrapro) which also contain essential prebiotics plus a high quality enzyme formula along with eating whole foods in a manner easy to digest – for several YEARS (such as soups and cooked foods) to enable the gut lining to heal. Many gluten free religites don’t get better because the underlying leaky gut is not repaired. The problem with the probiotic you recommended is that it contains Hi Maize (corn) and no assurances that it is non GMO. So in addition the the risks of glyphosate it is GMO and has Bt toxin in it. Corn is also a major allergen and those of us who have gut damage have sometimes more than one allergen we have to avoid in addition to gluten etc. I was diagnosed last year with Gluten, corn and yeast intolerance, dysbiosis, advances adrenal fatigue syndrome and a goiter with three cysts in it. I take the Natures Way probiotic since I have to avoid yeast strains and they have high doses. I also have to take digestive enzymes and I still struggle with IBS symptoms. The quality of the probiotics people take is very important so it is important for people to do their homework about what is best for them. Seneff seems to make a habit of generating hundreds of speculations in her many papers, but seems to be averse to collaborating with any actual experimental scientists who could help her understand basic concepts in chemistry and biology, let alone the intricacies of toxicology, statistics or celiac disease. At this point, it can’t be a coincidence. This latest paper adds to her shame, but I’m sure it will be welcomed by people who will be impressed by how long it is. It is rare to come across someone with so little curiosity about whether their speculations are actually true! Real science works by formulating a hypothesis based on an OBJECTIVE review of the current knowledge, and then designing tests that could prove or invalidate the hypothesis. In all her writing, I have never once seen her formulate a testable hypothesis. Perhaps a couple of undergraduate or continuing ed. classes could help? “Sally Ellis, PhD” is the type of post which is propounded by the marketing departments of chemicals manufacturers. Yep. I’m waiting for her to 1) identify a scientist Seneff has refused to work with, 2) refute any key points of Seneff’s, 3) tell us how extrapolating from already established biochemistry requires extensive testing to be taken seriously, and 4) why it’s relevant that one of her co-authors is retired. Talk about a pocket full of loose change! I’m also not clear about whether she realizes she’s just repeating Seneff’s ultimate assertion about the sim work that established science asks that her A.I. biochemistry be tried in vivo? She seems to be demanding something like, “A mathematician who can show proof that the laws of math equate 2+2 to 4 requires the same proof all over again that 3+3 is 6”, in a sense. But yeah, I’d love to see that trial take place outside of a simulation so that we can see once and for all who the charlatans are! Yep. I’m waiting for her to 1) identify a scientist Seneff has refused to work with to set up an in vivo trial, 2) refute any key points of Seneff’s, 3) tell us how extrapolating from already established biochemistry requires extensive testing to be taken seriously. Talk about a pocket full of loose change! I’m also not clear about whether she realizes she’s just repeating Seneff’s ultimate assertion about the sim work that established science asks that her A.I. biochemistry be tried in vivo? She seems to be demanding something like, “A mathematician who can show proof that the laws of math equate 2+2 to 4 requires the same proof all over again that 3+3 is 6”, in a sense. Or more accurately, that a biochemist discussing a product that works on Pathway Z across multiple organisms can’t state that the same pathway is vulnerable in other organisms. Maybe for Dr. Ellis there’s a high school level class in logic of some type in order? But yeah, I’d love to see that trial take place outside of a simulation so that we can see once and for all who the charlatans are! Hi Sally, your comment is worthless unless you stop talking in general terms and get to the point. What you over educated types forget is that science is a mere facet of knowledge and discovery. Observing natural phenomena, logic and personal experiences also lead us towards knowledge and understanding. According to one Einstein fella, imagination is more important than knowledge. By all means check my spelling, grammar and punctuation and besmirch my ability to learn from my own experience based knowledge, my own extensive reading, and cheeky (un)educated surmises regarding matters which affect me, leading me in my ignorance to have a considered opinion on stuff, which some academics mightn’t have done some experiments to prove! It doesn’t mean it’s of no merit. As a TEFL teacher I have proof read and edited/rewritten foreign students’ PhD dissertations, it ain’t all that. “What you over educated types forget is that science is a mere facet of knowledge and discovery.”? I’m sorry, you come across as someone who knows nothing about the subject and thinks belief/faith/opinion is enough to make something true or not. Thank you for your thoughts on this article. As a lay person, I didn’t know how to evaluate her claims. I have a family with celiac disease and worry about them. I appreciate your willingness to refute the claims made in this “scientific” paper. Attacking Sennis for publishing a peer-reviewed paper is ridiculous. Sennis has a PhD from MIT, where she is currently a research scientist. 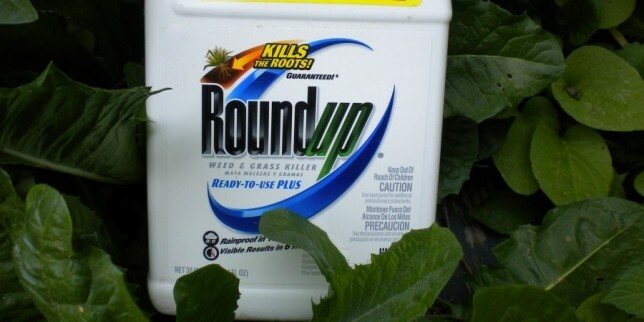 The problem with Roundup is simple: consumers are the guinea pigs. Trying to distract people from that basic problem by insulting Sennis won’t work because people don’t want to be guinea pigs. The correlation between the rise in the use of glyphosate and the diagnosis of autism spectrum disorder is clear. Your comment reads like typical paid trolling. Stephanie Senaf is right on the money. What she is expessing falls in line with what I have suffered with for so long. The medical and scientific community is sucha let down. Maybe you should spend some time stuying her, and then maybe you could learn something. Sally PhD a good scientist would support such a critique – or wild accusations? – with clear examples of these ‘suppositions’ and a counter-attack supported by peer reviewed evidence, fully referenced. So where is your evidence? What is your hypothesis and where is the science to support it? What this work does is highlight a Public Health issue, ignites a debate that needs to be had, and is not, and warns the public – a job the watchdogs should be doing. Check out the Seralin study – one of the few independent studies in the world on GMO’s and Glyphosate – the authors of the othe few have been blacklisted, sacked, threatened and unemployed now for some time. Connect the dots. Think ‘precautionary principle’. Think ‘life before profit’. Your comment is good example that a PhD in opinion is not necessarily a practical assett outside of its jurisdiction – ie, I know which author I think has their finger on the pulse of GMO’s and Glyphosate and knows how to present a good supported argument. I am so relieved to read this. I was just talking with my husband about how I know there was more to my problem than just gluten. Makes so much sense to me. I will be letting all my friends know about this. Thanks! I followed the link and read the article by Samsel and Seneff. While the subject may be worthy of further study, this work lacks any real credibility. Samsel is a retired scientist/consultant with no current institutional affiliation and Seneff is a research scientist at MIT in Computer Science and Artificial Intelligence, with no background in cell biology, biochemistry, or metabolism. In my mind, they are more activists than subject matter experts. While activism is fine, they shouldn’t be making scientific claims. Their article was published in the journal “Interdisciplinary Toxicolgy”, which, though peer reviewed, is published in Slovakia. This is a red flag in my mind. In the article, the authors explain how Roundup works and how it can theoretically disrupt digestion and metabolism in humans, but it is apparent that they have not done anything tangible (experiments, computer modeling, etc.) to study this phenomenon. They published a similar study last year in “Entropy”, but this is not a peer reviewed journal, and many scientists took issue with this article and discredited the work. Until there is an actual study on this subject rather than speculation, my feeling is that this is junk science. Not sure why you would say Slovakia is a “red flag”. You should read up on a country before you throw it under a bus. EU Member, excellent economy, strong education, plenty of scientists and research going on there. My guess is it was published in that Journal because it was a study in a field the authors typically don’t practice in. Agree that it needs some work to be a better scientific paper, but to discount someone’s work because it is outside their awarded degree is nonsense. That is why papers are peer reviewed. Science is science and one field uses the same method (Scientific) as the other. They can lean on SMEs from within a field they are not as familiar with and often do for research papers. Most everyone agrees that adding these man made chemicals to our systems tends to lead to bad results. I hope this sparks interest in some other scientists to close the loop and put an experiment together. Somehow I bet Monsanto won’t allow it though. are bought and paid for by big business. are having a negative effect on people’s immune systems? I have Celiac Disease and I greatly appreciate this study. Glyphosate is not a weed herbicide. It is not a broad spectrum herbicide. When Monsanto applied for the patent on glyphosate, they characterized the chemical as an antibiotic. Let’s learn the difference an herbicide and a broad spectrum antibiotic, and stop referring to Roundup as a herbicide. Glyphosate is patented as an antibiotic, is totally unregulated, and it applied to our soils, food and groundwater, by the millions of tons. Meanwhile, when grandma gets an infecftion, doctors tell us she can’t have a few milligrams of antibiotic, because we’re using too much on elderly people, and it might contaminate the rivers. There are interviews with Dr. Don Huber, PhD, on youtube wherein he characterizes glyphosate as the most powerful antibiotic that has ever been unleashed by man. It is a broad spectrum antibiotic, and it eventually kills everything. Really? It appears everyone that matters says it’s a herbicide. It looks like you’re the only one who says it’s not a herbicide. You can call a duck a goose if you want, but if it walks like a duck, quacks like a duck, IT’S A DUCK! Actually, glyphosate was first patented as a chelator (binds to metal ions) and then as an herbicide, and then as an antibiotic. So in fact, glyphosate has been patented for three different functions. Just a historical note; Glyphosate was patented originally as a descaling agent in the ’60s I think. It was useful in that capacity because it binds minerals. It was known as a chelator before it was used in agriculture. While I am a proponent of precautionary approaches to toxic substances (only use them when they are demonstrated to be necessary and safe), I must agree that this article contains several serious flaws and does not provide reasonable link between glyphosate and digestive track disorders. Many many such correlations are possible and easy to graph. Serious research is required to corroborate what the authors propose. I thought I was Guten intolerant. Then I realize I CAN eat Caputo 00 flour from Italy with no problems. Any Flour I get in the US destroys me the very next day for a week, severe acid reflux and bleeding IBS. This could be an explanation if they dont use roundup in Italy at least for me. Caputo 00 flour is a gluten free flour mix. It’s a proprietary blend of rice and potato. That’s why you can eat it, it has nothing to do with Roundup! Sorry, LMGTFY, David. Caputo 00 pizza flour is 11% gluten. They do have a gluten-free product, but that’s not what John indicated above. Roundup can be used in the harvesting of rice and potato. If this is found to be true the extentent of global genocide on Monsanto’s behalf will make the holocaust look like a minor accident! Start thinking and sharing this study cause this one is a biggie. This is an important paper. Here’s hoping it will shine a spotlight onto the insane practice of poisoning the food we eat. Even if you discounted the science (which seems sound having read the full paper) you’d have to question the ethics of allowing entire populations to consume foods loaded with glyphosate residues. This report is the tip of the iceberg. Just do a google search to see a list of chemicals applied to foods in your country. I’m an Australian and a celiac & I’m appalled at the cocktail of poisons farmers are pouring onto and into our foods each day. Just look at this for starters: www.ntn.org.au/clean-food/toxic-hit-list-shows-australians-exposed-to-dangerous-pesticides Sadly our government does not support organic farmers so unless we grow our own everything there’s little hope of remaining healthy. The article contains over 180 references to other scientific research papers Jason, Lori and Sally – probably all the same person. The article only discusses the problems with glyphosate, it doesn´t include much about the health problems caused by genetically modified foods as well. What we need is a group of say 10 volunteers anti gmo and a like number of pro gmo to eat these respective diets. and monitor their health. Forget all about rats and short term studies. Let’s see who gets sick and dies first. I would gladly volunteer for anti gmo group. Let’s tell these gmo people to put up or shut up! Stephanie Seneff is a Senior Research Scientist at the MIT Computer Science and Artificial Intelligence Laboratory. She received the B.S. degree in Biophysics in 1968, the M.S. and E.E. degrees in Electrical Engineering in 1980, and the Ph.D degree in Electrical Engineering and Computer Science in 1985, all from MIT. For over three decades, her research interests have always been at the intersection of biology and computation â€“ developing a computational model for the human auditory system, understanding human language so as to develop algorithms and systems for human computer interactions, as well as applying natural language processing (NLP) techniques to gene predictions. She has published over 170 refereed articles on these subjects, and has been invited to give keynote speeches at several international conferences. She has also supervised numerous Master’s and PhD theses at MIT. In 2012, Dr. Seneff was elected Fellow of the International Speech and Communication Association (ISCA). I do not think that Roundup is the direct culprit in this. I suspect that the GMO corn, wheat and other “Roundup ready” food are making the changes in our digestive systems. In Europe, as I understand it, GMO labeling is required and people avoid these products and little farming is done with GMO seed for this reason. In the US, GMO seed is pushed and protected by the government and we are subjected to GMO products in practically all processed foods. I do not think you can completely avoid GMO food unless you quit eating in restaurants, with friends and never use products that are packaged or bottled commercially. 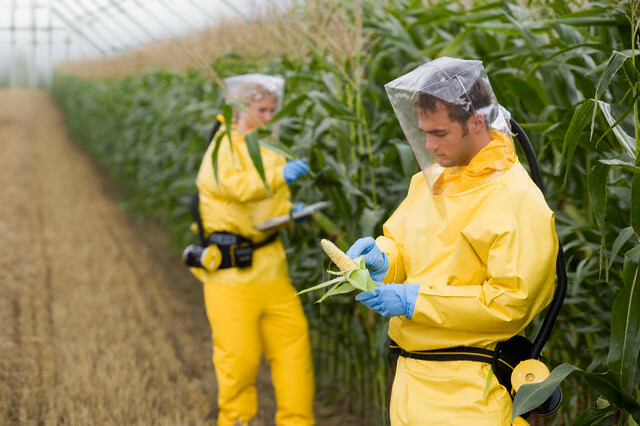 It is my belief that the GMO foods that we consume, especially GMO corn and wheat, are doing something to kill the bacteria that we need to digest food. I have tried to avoid white flour as is just starch and no nutrition left. Sugar is half GMO sugar beets so I avoid that and (GMO) high fructose corn syrup. I don’t think sugar cane is GMO. I try to eat organic as much as possible. Thus far, I do not have any allergies or intolerances (except to liberal-left politics)–I am 73. Normusa refers to GMO wheat. Please tell me who sells GMO seed wheat, when it was approved and who raises it.You also make a vague statement that you do not believe roundup is a direct culprit, First, we do not raise GMO wheat, but we do use a lot of roundup on both winter and spring wheat as a drying agent to expedite harvest. Not everyone is as sensitive to glyphosate as I am, but I can tell you first hand what happens to me when I eat wheat products that have been treated with roundup. Before the late 1990’s I didn’t have this problem.A few years ago, I decided to eat only Subway veggie sandwiches. I got so bad off with extreme gout symptoms in my feet and ankles. I went to the hospital and was told I had acute arterial inflammation. I developed flu like symptoms with anxiety and depression. I asked my doctor what caused this, and he said, I don’t know, it could be a lot of things. I took all wheat products out of my diet and in less than a week I was back to normal. In the past 10 years, I have tried eating some wheat products, and can get by with small amounts as long as the are not back to back, meals or on back to back days.There is one restaurant that I go to that serves a brown bread that doesn’t bother me at all. I will try to copy a couple of things here.THREE crops — corn, soybeans and wheat — account for a vast majority of the value of America’s agricultural crop output. But wheat is different in one important respect. While more than 90 percent of the nation’s corn and soybean acres are now planted with seeds genetically engineered to resist insects, herbicides or both, there is not a single acre of genetically engineered wheat being grown commercially in the United States.THREE crops — corn, soybeans and wheat — account for a vast majority of the value of America’s agricultural crop output. But wheat is different in one important respect. While more than 90 percent of the nation’s corn and soybean acres are now planted with seeds genetically engineered to resist insects, herbicides or both, there is not a single acre of genetically engineered wheat being grown commercially in the United States. I welcome comments or criticism of anything I post. Hello people. I would like to say that it is very easy to attack ranchers and farmers in the U.S. When only less than two percent of the population actually does the work that feeds millions and millions of people. It makes it very easy to distort real facts. In America we spend less than 10% of our income on food. The lowest of any nation in the world. These GMOs and roundup allow us to grow the amount of food that we do. I myself can not eat gluten. When I do it feels like there is a knife cutting my stomach, but I am ok with that, because we can feed more and more people even if I can’t eat it. I can always eat corn. I also have Ulcerative colitis so I understand what pain is. In 2006, the USDA issued an official report stating that GMO crop yields are not greater than conventional crop yields, according to the Center for Food Safety. The Union of Concerned Scientists also report that scientific data indicate that GMO crops do not produce greater yields than conventional crops. GM is not needed to feed the world. Conventional plant breeding has already delivered crops that are high-yielding, disease- and pest-resistant, tolerant of drought and other climatic extremes, and nutritionally enhanced – at a fraction of the cost of GM. Hunger is not caused by a lack of food in the world. It is a problem of distribution and poverty, which GM cannot solve. We may spend only 10% of income on food, but healthcare is a 2 trillion dollar a year business in this country. I attribute this directly to the toxic substandard food that they raise along with substandard processing and packaging. I eat very little of the food that most farmers grow and am 67 years old, take no prescription drugs and feel much better than I did 20 years ago. Good read. Sad, but true. Everyone needs to have their own personal health strategy to combat the effects of all the numerous toxins that we are exposed to on a daily basis. Funny how most of us follow a maintenance schedule for our vehicles to change oil, fluids, filters on a regular basis – but don’t regularly detox our own bodies! Cleanse, balance and build is the key to my health strategy. As a sufferer of gluten intolerance with allergies to corn and soy and peanuts plus others I have worked to up my ferritin level pre-total knee replacement to little effect. Please look at the CDC obesity levels and the USGS herbicide/pesticide maps over time — you will see the connection. Thanks to these authors for helping me understand my own circumstance. As someone who had a total hip and total knee replacement due to fracture, may I say that unless you are in severe pain, and cannot walk at all, that having a prosthesis is not the way to go. I tried to be cautious, but contracted infections one after another. Perhaps it was GMO’s in the food supply or lots of Roundup contamination everywhere (although I only ate organically grown food), forgetting that the water supplies are also contaminated with pesticides, whenever I was in a therapy pool, which was often. All can increase infections in our bodies when we have a foreign object inside, as with an artificial limb. Many, many times I wish I never had done this. The pain after the surgery was excruciating, and when the pain pills were discontinued, I had to manage the pain myself. Plus, I was prone to infection. And, the artificial knee only works for about 10 years, then you need it replaced as well. I’m closing in to that ten year period, and find the pain recurring in both my hip and knee, but don’t feel up to another replacement. Plus, I’ve fractured my spine, and pelvis as well. Opted for no surgery, just PT. Unfortunately, U.S. Insurance is no longer carrying PT more than one injury per year. Hence, it’s a no-win solution. Whether Round-Up is the cause of celiac disease or any other health problem in humans is an argument that you can carry on ad nauseum. That anyone would choose to ingest chemicals of any kind that shut down the detoxification capabilities of one’s liver is INSANE. And we know that ROUND UP does this!. The purpose of the liver is to get the toxins out and RoundUp interfere’s with this. 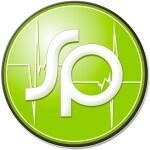 Round Up (and many other chemicals) is to the liver what saturated fats are to the heart. If ” cytochrome P450 inhibition, disruption of synthesis of aromatic amino acids, chelation of transition metals, ” cannot be disputed it doesn’t really matter to me what specific disease links can be established. A standard essay question given to med students is to argue which organ is more important to the body: the liver or the heart. Its just a heads up, you can take the info.and if you have these symptoms, use caution that’s all, I invented the iron.patch for anemia and iron deficiency and I was in the mortgage business for 21 years, she may not be fully educated but perhaps suffered from this or someone close to her, like I did. Everyone can argue their silly points all they want but the bottom line is we are being poisoned by corporate America. I lived on this planet for 56 years eating anything I wanted. A few years ago I started having stomach and digestive issues so I got checked out. I was told I had Celiac. They say it was a result of where my ancestors are from ( Ireland ) That really goes well with my chronic liver disease from Hepatitis C. Now I am anemic and have had numerous transfusions over the past couple years. And I see someone defending MonSatan? Who cares about the petty arguments on who is right and who is credible. Why does it matter if it is an antibiotic or herbicide? Why not take all this brain power and apply it to a logical solution to an obvious problem. I agree it needs more study but poking sticks at one another only plays into the hands of those who want to control us all. We do not know enough about GMOs or the toxins that we ingest. Why do the studies get done after millions of people are affected by something? That is the most puzzling part of it all. Here is Canada, grassroots movement is underway in testing for presence of Glyphosate, the active poison in Monsanto’s Roundup, in people’s urine, blood, mother’s breast milk and in their babies. These tests are to be done carefully and under control of two scientists, Dr. Anthony Samsel and Dr. Stephanie Seneff, who have agreed to study the results and analyze them. Sampling is to be taken carefully, from people who are already sick with some of the known illnesses linked to Glyphosate, and people that are likely to be exposed due to close proximity to areas where this poison is used in agriculture, forestry and watersheds. It seems to me that we have celiac disease, gluten intolerance and glyphosate poisoning. I avoid wheat products, soy, gmo anything, ivomec treated beef, all dairy products, pork fed ractomine, commercially raised poultry, farm raised salmon, food coloring, among other things.These things have caused my wife and I to have migraines, acute restless leg syn, joint pain, gout symptoms, anxiety,depression, acute flu like symptoms among other things.I believe we spend way to much money on meaningless studies and tests. If I hit my finger with a hammer, I don’t need a degree in anything or a six month study to figure where the pain came from. I will be 67 next month and feel much better than I did 15 years ago. We have many health issues in this country, but we have many that have diligently researched and posted their findings. I don’t agree with all of these studies but have used a lot of this very valuable information to benefit the health and well being of my wife and I.
I researched and decided to test the GMO/Round-Up theory on myslef, hoping to help myself, but also my future patients. I did two tests. One i made myself a sandwich with wheat bread (that’s right not gluten free) but completely organic and GMO free. In the past just looking at that sandwich would probably give me diarrhea:) however, I managed to eat the whole symptoms, right after, 30 minutes later, 12 hours later, well never really. Test number two, beer, I went to a beerfest and consumed various glasses of beer, regular beer, non gluten free beer. However, beer was European, no GMOs and completely organic. If I had ingested that much say..Budweiser I would have ended up in the hospital. The organic GMO free and Organic beer gave me NO symptoms (other than a hangover next day). There is nothing wrong with organic wheat in my opinion, all the bowel diseases that keep growing are caused by GMO wheat and other GMO + Round-Up foods. I know that my tests were very basic but I am totally convinced of this. You decide, don’t believe the hype do your own research. Be healthy, and stay healthy for yourself and your loved ones. I am a little confused. Were you able to eat organic Wheat? I want to try this, physcologically I am having trouble going there. Although I am severly allergic to Gluetin, I have found that I am also allergic to Soy Oil (also labelled as vegtable oil), Potato starch, Buckwheat, Oats, Strawberries, and Blueberries. These are are pesticide laden things. So my conclusion is that this allergy is strongly Pesticide based. Celiac disease has been around a lot longer than GMO’s or Roundup. There is strong evidence that Roundup may be a contributing factor to various heath issues, so far not so much for GMO’s , but they haven’t been around for long. Europe uses large quantities of Roundup, but less than the US. All this is speculation. We need sound science and established links. Most of the comments here are anecdotal, not scientific. I don’t have the answer and neither does anybody else commenting here. Interesting that roundup pre-harvest treatment is not allowed to be used on barley used in beer or peas for human consumption. My father passed away in 1988 at the age of 80. Interestingly an autopsy was done and he was found to have Korsakoff syndrome which is caused by alcohol misuse and a lack of vitamin B1 (thiamin) to the brain. My father did his share of drinking alcoholic beverages but I don’t believe he overdid it. From the age of 67 or so he did not drink any alcohol. I remember as a teen in the 60s he would wig out, lie about things and hallucinate. From what I have learned, Korsakoff Syndrome is reversible. Get enough B-1 and it’s gone. His dementia did not go away when he stopped drinking. Around 7 years ago my daughter went to a gastroenterologist who told her she has Celiac. I was there with her and he told me I should be tested to find out if I have the genes. When I went to my internist with the request she gave me a hard time and did not want me to have the blood work done with the other blood work. At that time I had been on lipitor for 5 years. I started with 10 mg and worked my way up to 80. Nothing I did lowered the numbers. They just kept going up and I ended up with hypothyroidism and severe migraines which often caused vomiting almost every single day. One night I went to the ER with a headache so bad the ER dr thought I was having a stroke. I had the blood work done for celiac and the rest of the stuff I normally had done about a week after my visit with her. I then stopped all prescription meds. My headaches receded almost immediately. When I went back to my internist I found that my Hypothyroidism was GONE. I also told her that I had stopped the lipitor and my headaches were down to 1 a month or so rather than every day. She said “I never would have guessed it was the lipitor” needless to say that was my last visit. I saw 4 doctors for the headaches and not 1 could tell me it might be a side effect of the lipitor. At the same time I stopped the lipitor I also stopped eating gluten. For about a year I was getting a yeasty smelling red raw rash under my breasts and belly. It went away. My dr told me it was from sweat. It was from gluten. Every once in a while it will flare up and I know I have gotten some cross contamination from somewhere. I feel a zillion times better now than I did all those years ago and have a lot more energy. I have been told my story is anecdotal but how else are we to learn? Our government, doctors and big business cannot be trusted. Close friend sells farm trucks in the Red River Valley of the north where wheat yields come in at over 60 bushels / acre. Last harvest season I asked him to ask his customers if they use Round-up just before harvesting. He told me it was 100% – to which I asked why? He said that when used (round-up) they get a much better price at the elevators because the moisture content is low and protein high – so its about the money ! Celiac disease is a genetic autoimmune disorder that damages the small intestine and interferes with absorption of nutrients from food.